You’re in store for a whole new look and design for your outdoor and indoor spaces come Spring! Surveys from across the home industry indicate the want for low-maintenance, sustainable, and of course super attractive outdoor spaces for entertaining and relaxing, while bringing the outdoors in for a soothing yet colorful atmosphere. 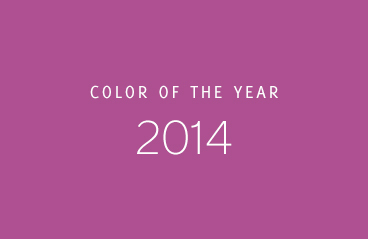 2014’s color of the year is Radiant Orchid. How do we know this? Let’s start with a general palette of complimenting colors that will mix well with Radiant Orchid. You don’t have to complete an entire makeover to incorporate the use of new colors into your space. Here are a few ways use Radiant Orchid inside your home. 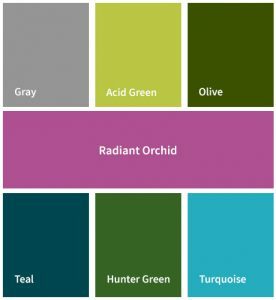 From furniture and accent pieces to overall design, it’s easy to incorporate the color of the year into your outdoor design. Here are a few ideas for you! One of the ways you can use Radiant Orchid in your outdoor design is to pair it with white or any of the complimenting colors. Use throw pillows, dining wear, flower pots or flowers, outdoor wall deco, and outdoor area rugs for pops of color. One of the complimentary colors for use with Radiant Orchid is what we like to call lime green! Give your indoor and outdoor spaces a makeover using Pantone’s color of the year 2104 – Radiant Orchid in a variety of budget friendly ways!